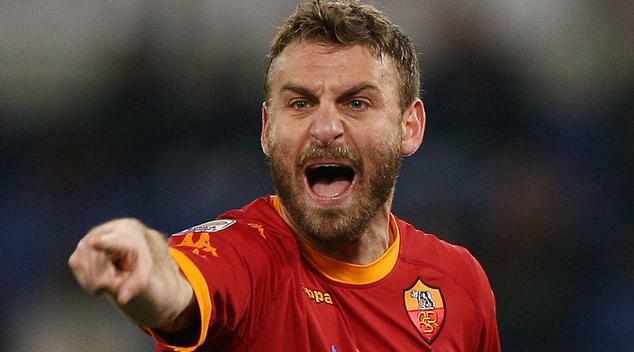 Andre Villas-Boas is preparing an £18m offer for Roma midfielder Daniele De Rossi. Fears over the future of Michael Essien has prompted new the new boss to sign a world class midfielder. Essien is fighting to save his career after a third serious knee injury in three years - and De Rossi is seen as the man to take his place in midfield. The Italian international, who has only has a year left on his contract, has become disillusioned with life at the Olympic Stadium. De Rossi has told bosses at Rome that he wants to quit the club after almost 10 years, is reportedly unhappy with life in Rome and wants a move to La Liga or English Premier League. The 27-year-old recently confessed that he is upset with the fan behaviour as they do not respect him anymore. This has given Villas-Boas the green light to make his move and he is expected to launch an £18m bid. De Rossi emerged from the youth ranks of the club in 2001 and since then, he has scored 43 goals in 357 appearances for the club.